I’m taking part in the bowtie swap being hosted by Barb over at Fun with Barb. I love bowtie quilts! My very first hand pieced quilt was a bow tie quilt. The blocks for Barb’s swap are machine pieced. 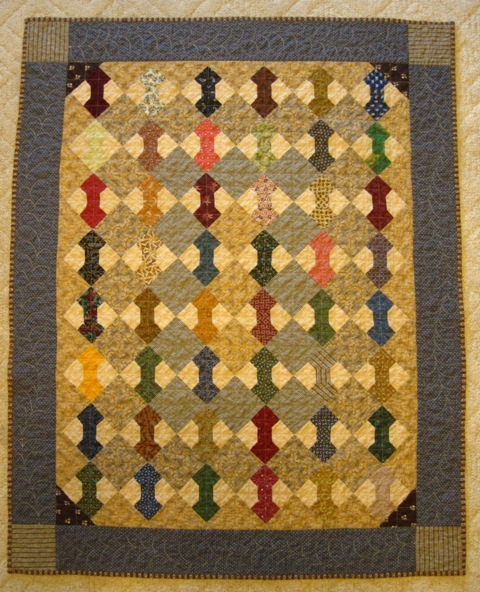 Here is a quilt I finished a number of years ago with hand pieced blocks. I think these finished at 4 inches. The quilting was done on my 1955 Singer 201. My blocks for the swap are all finished now but won’t be mailed for a bit. They aren’t due until October but I always like to do them right away so I can forget about them and then it is like Christmas when they come! By the way, as we are traveling over the next week, I won’t be able to respond to comments easily. I do appreciate each and every one and if there are questions, I will try to reply in the comments rather than through e-mail. We’ll see how that works. 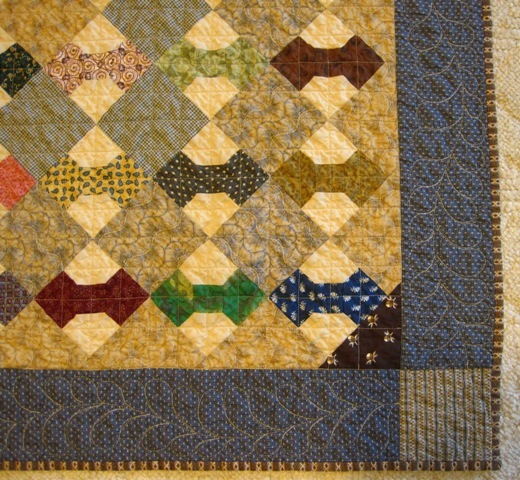 Wonderful bow tie quilt setting! Can I share a photo on my blog? Safe travels and have a great time. Sweet bowties! Have a wonderful, safe trip…. Very nice! That’s a lot of work to hand-piece all those blocks. Thanks for linking up at Throwback Thursday today. I love your little bowtie quilt. I don’t know that I’ve seen that setting before, and I like it! Very nice quilt ! 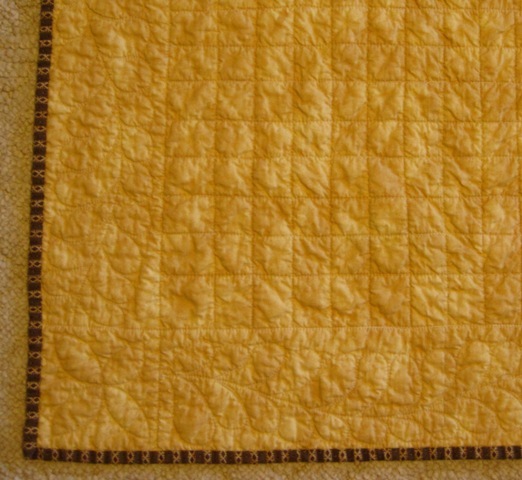 And very nice quilting ! This is very nice. I made a couple of bowtie quilts years ago, that I donated to charity.